I'd never experienced any kind of cruise, so I was really interested to find out more about Fiji island cruises on this Captain Cook Cruise. My short cruise departed in October and I was looking forward to some relaxed island-hopping, great seafood and an introduction to the Fijian hospitality I’d heard so much about! These smaller cruises will suit anyone looking for a Fiji holiday who enjoys the idea of relaxed sightseeing on the water. On our cruise, the passengers were mainly couples and a few bigger family groups or groups of friends. There were plenty of retired couples with some younger passengers too – not too many children, although they are most welcome and Fijians love to entertain children! How big are the cruise ships? The Captain Cook ship (the MV Reef Endeavour) which I travelled on is classified as a small cruise ship, so you certainly won’t feel overcrowded - it caters for a maximum of 130 passengers. The best thing about these island cruise ships is that they’re designed to cope with the shallow waters and bays of the islands so you can get really close up, with just a short journey to the shore. What types of Fiji island cruises are available? Captain Cook Cruises offer a 3, 4 and 7 night cruise. 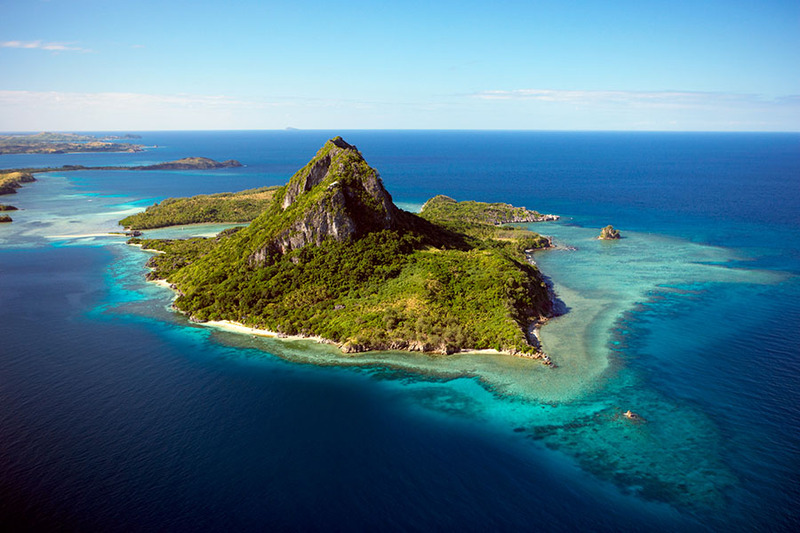 The 7 night itinerary that we followed takes you from the marina in Port Denerau, on the main island and makes its way into the Mamanuca Islands, before heading out further into the Yasawa Islands. 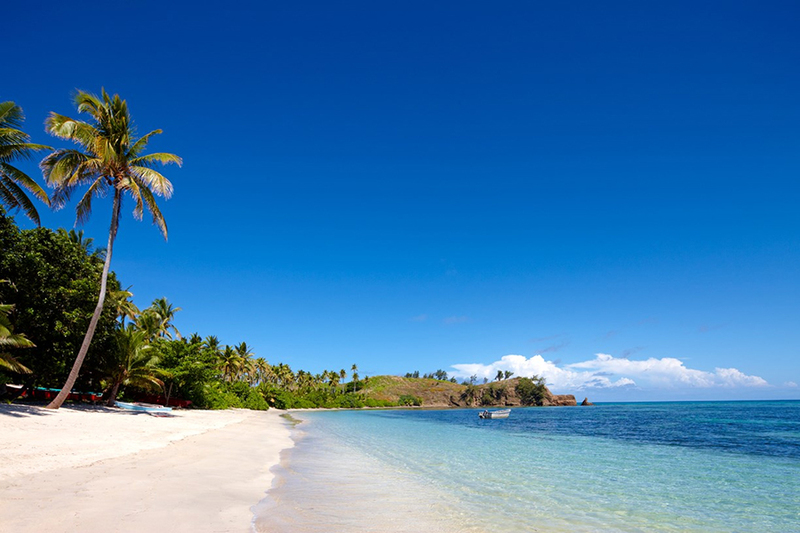 ‘Yasawa’ is one of the words for ‘heaven’ in Fijian, so you won’t be disappointed when you see these islands! The 3 night cruise takes you to the Mamanucas and then to the southern Yasawa Islands; the 4 night option takes you through the Northern Yasawas and the 7 night option combines both. If you choose the shorter cruises, you meet or depart the ship via a transfer which is included. The ship itself has lots of facilities; a pool and top-deck spa pools, plus bars and the cruise package included daily excursions to the islands, guided tours of Fijian villages and schools, reef snorkelling, glass-bottomed boat tours, a traditional lovo feast and a kava ceremony – so you get a full introduction to Fijian life. 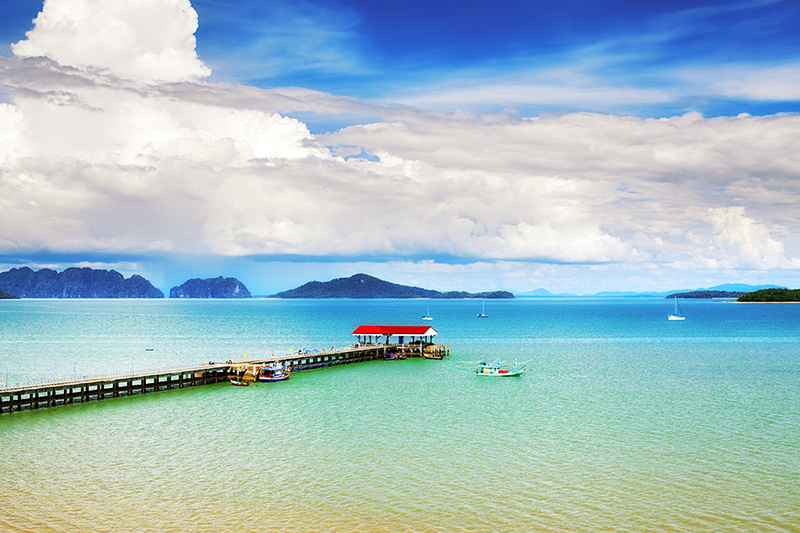 What's special about cruising here? I’d never really considered taking a cruise before, so I was pleasantly surprised by a few aspects. As you’re constantly on the move and sailing through beautiful islands, the scenery is stunning – and unlike being parked on a sun lounger on a beach – it’s always changing. Every time you look up from your book there’s a different island coming into view, so it’s constantly stimulating. The cruise ships take you out to remote beaches which you wouldn’t necessarily reach (or have access to) on your own – some of which are inaccessible unless you take the tender up to the shore. We were also taken to some remote diving sites and tried some cave swimming which was exciting – it would have been quite an effort to reach these under your own steam. How often does the ship stop? Don’t feel concerned that you’ll be spending all your time on board a ship. The cruising distances between anchorages in Fiji are quite short (a few hours max), so we were able to spend plenty of time in off-ship activities. I took a guided dive, did lots of snorkelling and took part in a Kava ceremony in a local village - the emphasis is definitely on getting you off the boat. Fiji has provided a backdrop to several films; on our way through the Mamanucas, we sailed past Monuriki Island which was the setting for the Tom Hanks film ‘Cast Away’ and the Blue Lagoon in the Yasawas was the setting for the 1980s romantic adventure ‘Blue Lagoon’ with Brooke Shields. The cabins as you might expect are quite small (although not dissimilar in size to the Japanese hotel rooms I’ve been used to). They’re comfortable and functional and in reality we really didn’t spend too much time in our cabin – you’re mainly up on the deck admiring the great views. There is plenty of communal space and a bar on the top deck, so there is lots of room to lounge around outside the cabin. You can look forward to full-board service on these cruises and the comfort of knowing everything is included! We found that eating was really relaxed and informal – breakfast and lunch tend to be buffet-style and some of the lunches were served to us on the beach, which was great. In the evenings we had a very tasty selection of Fijian curries, fish soups, plenty of local fish and also some ‘western’ food and most meals are served with Aussie or Kiwi wines. In the evening there are two sittings for dinner, so you have some flexibility about when you eat. There’s plenty of entertainment provided on board and they also give you lots of information about the daily excursions on offer. On our departure there was a friendly, young German ents guy who arranged all the entertainment. On board, we took part in a traditional Kava drinking ceremony (an important, traditional drink that looks like muddy tea and is mildly narcotic) and we also had a crab-racing night. It sounds bizarre but was quite fun – each table had their own crab and had to compete with others in a race. On other nights we were entertained with traditional Fijian song and dance. It was a great atmosphere – all the ship’s staff got involved and they really do genuinely love to sing and dance – it was another one of my highlights of the cruise. You also have a folklore night where you can learn more about the local legend and tradition – much flirting was involved between the ship’s staff which in itself was entertaining! A highlight for me was being able to see whole-horizon sunrises and sunsets. Every day you’d be watching the sun rise or over the sea or a tropical island, from the comfort of your lounger and every day was different. I’m normally used to travelling independently, so I wondered if being part of a cruise party would make me feel like I was being ‘shepherded’ around with lots of other people. Actually, this wasn’t the case at all. The numbers on the ship are so small that the day I chose to do a dive, I was the only person who went. When you arrive at an island, you have the freedom to take a guided tour to a local village or to just do your own thing – it’s very relaxed indeed. If you’re at all sceptical about cruising, this kind of smaller cruise is a great place to find out if you enjoy it or not – it’s very friendly and informal and you’re only away for a few nights. Interested in Fiji island cruises? If you like the sound of cruising in Fiji, there are plenty of options we can arrange to suit you and we’ll help you decide which is best for you. 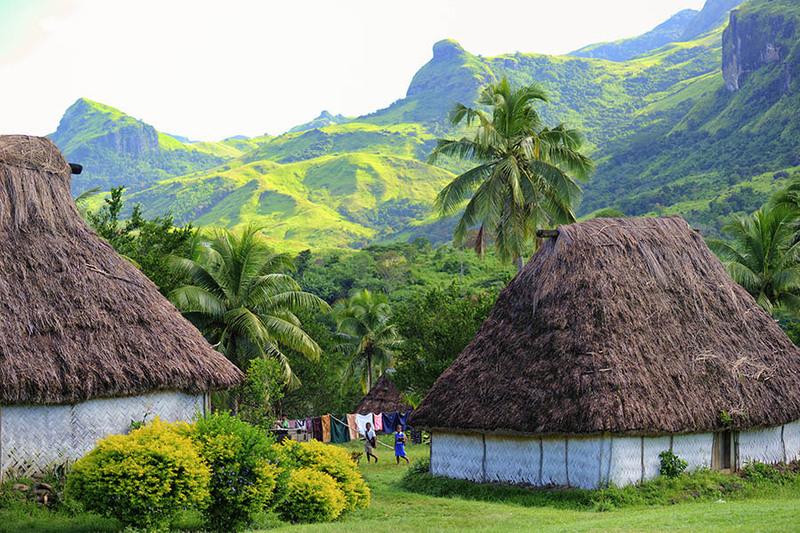 Fiji makes a great stopover on a round the world ticket and is easily accessible by a short flight from Australia or New Zealand and also direct from LA and Hong Kong. We can easily create a tailor-made Fiji holiday and plan flights, transfers, accommodation and touring to suit you. We can arrange all aspects of your Fiji holiday or Fiji stopover – to suit your own budget and style. I flew London – Seoul – Fiji – Seoul – London, but we can arrange any stopovers you choose, just ask. To start planing your trip to Fiji, call us on +44 1273320580 or request a quote by email. 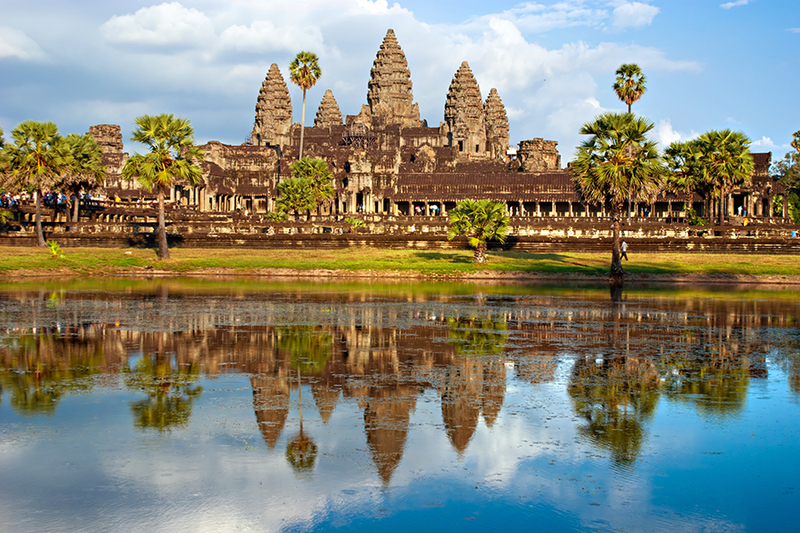 Sean has been travelling for more than 20 years and has notched up an enviable list of countries visited on 6 continents, from the jungles of South America to the mountains of Nepal and the plains of Africa. Since starting a family he now enjoys introducing his kids to travel in some of the most incredible destinations like Java, Egypt, the Philippines or the beautiful Okinawa Islands in Japan. He is forever in search of a brilliant beach with Bwejuu in Zanzibar and Ilha Grande in Brazil high on his list of favourites. Sean joined Travel Nation in 2010 as a round the world specialist and is now one of our UK team leaders.